Another boxing movie hits theaters on Friday, with Miles Teller playing Vinny Pazienza in Bleed for This, a film about the real-life fighter who was nearly paralyzed in a car accident and then made a inspirational return to the ring after. It's a story with the same broad notes of most boxing films, a genre loved by filmmakers for the built-in drama and metaphor of the ring and the compelling stories of those who get there. 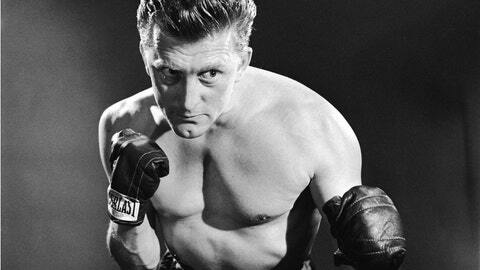 Here's our list of the 11 best boxing movies ever made. At no point during the Michael Mann film are you ever unaware you're watching Will Smith do a Muhammad Ali impersonation. Smith is far too electric and famous in his own right to play somebody else so electric and famous. The movie has its highlights - the boxing scenes are great, the film is polished and stylish like all Mann's work and Jamie Foxx becomes Bundini Brown - the great character who never slipped into caricature. 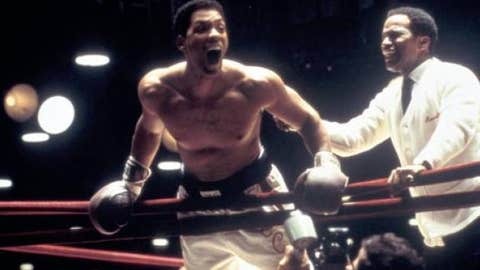 The final scenes of the film - from the Rumble in the Jungle with George Foreman - are arresting but what's the point of when you can go back and watch it all in real time with the Oscar-winning 1996 documentary When We Were Kings. There's nothing like being there. Maybe this film will feel more important down the road but coming in 2001, when Ali was still alive and just 27 years removed from his greatest fights, it felt completely superfluous. If you don't cry when Mickey dies, then you, my friend, are as equally dead inside. By Rocky III the series had devolved into more farce than anything but it's still a better watch than the slow, plodding Rocky II (even though that film's final fight is the best of the series). 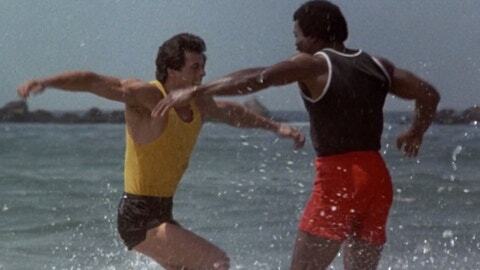 The third movie gave us Clubber Lang, "pain," Hulk Hogan as Thunderlips, running on the beach with socks jacked up to your shorts and the eternal question - "you wanna ring the bell?" You can occasionally catch this on one of the classic movie channels and, if you see, should do just that. The movie stars Kirk Douglas, in his first Oscar-nominated role, playing the titular champion, who starts off as the classic down-on-his-luck kid but becomes a top-notch fighter while transforming into a scheming womanizer unappreciative of those who helped him get to the top. There are crooked fight men, groupies and an overconfident (but ultimately likable) fighter, showing that the more things change the more they stay the same. 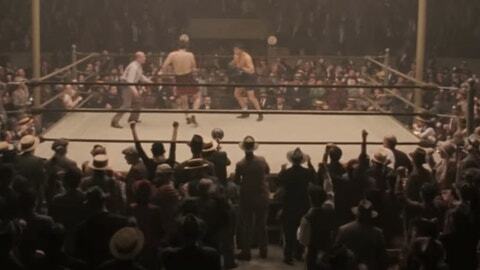 The real life of James J. Braddock had the ups and downs of any classic comeback story, but it's still a feat to pull it off on film, which is what Ron Howard and Russell Crowe do in this Oscar-nominated picture. The latter owns the screen as the hard-luck Braddock who beat 10/1 odds, and far longer odds at life, to win the heavyweight title over Max Baer. Braddock lost it all during the Great Depression, getting hurt, losing his boxing license and eventually going to the same Hoboken docks that the fictional Stanley Kowalski would roam years later. The movie shows his comeback and unlikely victories. The on-screen fights are brutal but the family and love scenes (with Renee Zellweger) - often an unnecessary sideshow in such films - help make the film even more poignant. A nice return to form for the series but one that's basically the original Rocky updated for 2015. Why does no one else talk about this? It's the same thing as that Star Wars movie. I've only seen the original once or twice but I'm pretty sure the J.J. Abrams one played out the exact same way, no? That's fine, by the way; the formula works because the formula works. Stallone taking a backseat and letting Michael B. Jordan and Ryan Coogler do their thing was the best way to revive the series which apparently will have a sequel sometime after the actor and director team up for Marvel's Black Panther. Look, you had me at "Clint Eastwood" and then really had me with "directs a boxing movie that also stars Morgan Freeman." And at the time it came out, Million Dollar Baby felt like a revelation - grizzled boxing veteran with regrets of the past, along with his partner and former fighter (Morgan Freeman) discover a woman who becomes the top female fighter in the world (Hillary Swank). There are some mawkish moments (everybody has the painful requisite back story that needs to be redeemed) but the always-efficient Eastwood keeps the pace moving well. Then there's the end, which is just about as depressing as any ever recorded on film. But unlike Eastwood's Mystic River from the year before (robbed at the Oscars by the love-fest for those Lord of the Rings special-effects orgies), Million Dollar Baby kind of leaves you the instant the credits roll. Eastwood is great, Freeman is terrific but until I rewatched it last night, I couldn't have told you anything about the movie except for the ending and that Hillary Swank somehow got a second (!) Oscar for it. John Huston, the director of The Maltese Falcon, Treasure of the Sierra Madre, The African Queen and Moulin Rouge (as well as the actor from dozens of films including Chinatown), was a former boxer who made the most underrated film of a sport he knew so well. 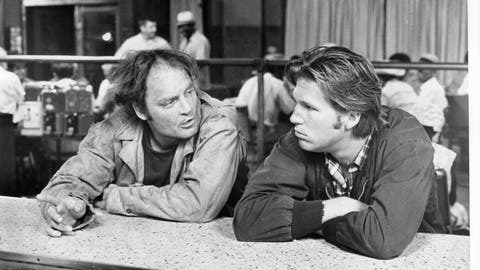 Starring a young Stacey Keach and a younger Jeff Bridges, the film follows a washed-up boxer caught up in the hustle of a broken-down American west. It's subtle, smart and surprisingly funny. I love Scorsese. I love De Niro in Scorsese movies. I love Pesci playing off De Niro in Scorsese movies most of all. But, I don't know, I just don't think Raging Bull is all that great. It's good, but one of the best films ever? Come on. The boxing scenes are so fake they make the Zach/Slater fight in Saved By The Bell look menacing by comparison. Even Michael Bay would say Scorsese used too much slo-mo. Pesci and Cathy Moriarty are great but why is it that I can't get emotionally invested in De Niro's Jake LaMotta? Is the role so iconic because De Niro put on 75 pounds to play the boxer late in life? Why does watching this feel like a chore for a film class? 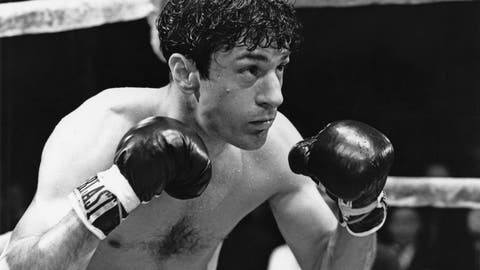 Starting at Mean Streets and going up, I have Raging Bull either tied with or behind just about everything in Marty's filmography, excluding that one starring Nicolas Cage with a title I tried to come up with for 10 minutes before succumbing to IMDB and realizing I was never going to come close to Bringing Out The Dead. Cheesy? Formulaic? Treacly? Consisting mostly on montages? Starring a robot and a thinly-veiled version of Mikhail Gorbachev? Possibly responsible for bringing upon the end of the Cold War? 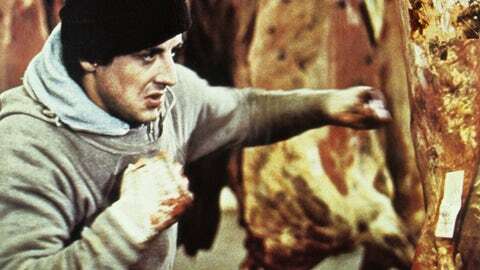 Has a scene where Rocky says about 75 words in English that somehow gets cut down to five by the Russian translator? Our first glimpse into the world of anabolic steroids, three years before Ben Johnson? Yeah, Rocky IV has it all. As a Film - capital F - it barely registers. It's basically a TV movie that snagged James Brown for a guest spot. Still, it's a fun movie that you can turn on at any moment and know what's coming next (a montage or Brigitte Nielsen scowling, probably). 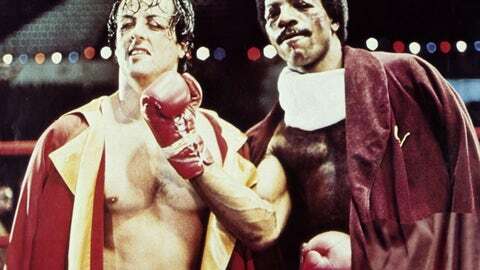 You'll always bob your head to Livin' In America, yell "throw the damn towel," hope Rocky can get away from the KGB and, after you're done watching, randomly yell "dyla sebya!" at passerby. Rocky IV is perfection. A perpetually sweaty Mark Wahlberg plays a sensitive boxer from - wait for it - Boston (I know, right! Talk about playing outside your comfort zone) trying to escape the pull and orbit of his drug-addicted brother who's still living off that time he knocked down Sugar Ray Leonard. (He tripped). Obviously, playing a scrappy guy from Lowell isn't exactly heavy lifting for Wahlberg which is okay because Christian Bale and Amy Adams do most of that anyway. (Melissa Leo won an Oscar for the juiciest Oscar-baity role as a tough Boston mom, though it screams of effort, like every line Mr. T delivers in Rocky III.) Wahlberg's Micky Ward is, at its core, virtually indistinguishable from some of his other roles (I'm pretty sure Wahlberg will basically be Ward as a cop in the upcoming Patriot's Day) but Bale is unrecognizable and remarkable as his crack-addicted brother. This marked a return to form (and box office success) for David O. Russell, one of his era's great directors. It's somehow slipped under the radar over the past few years, but shouldn't: It's a modern classic. 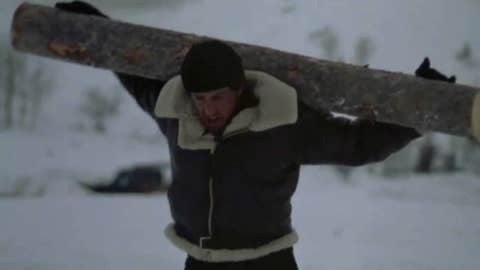 The Rocky story has become such a cliche over the last 40 years and its Best Picture award (only one other boxing film can claim that honor) is chalked up to a "yay America!" sentiment from the bicentennial. But go back and watch Rocky's rise with Mickey (a classic Burgess Meredith), his pursuit of Adrian, her alcoholic brother and the vainglorious showboat Apollo Creed, one of the most perfectly named characters in film history played exquisitely by Carl Weathers (who's so good as the heel that plays it with such nuance it's believable later in the series when he and Rocky becomes BFF). The there's not a wasted scene in the filim. Above all, Rocky shows the difficulty and nobility of being victorious in defeat.